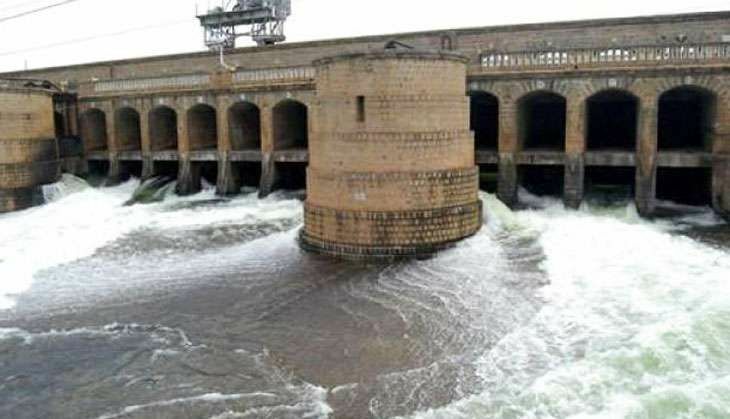 Faced with the Supreme Court's third straight order in a fortnight to release more Cauvery river waters to neighbouring Tamil Nadu, a shocked Siddaramaiah government in Karnataka is mulling the possibility of defying the court order to assuage the growing public resentment. The mood at the council of ministers' meeting in Bengaluru on Wednesday afternoon was one of frustration and anger as several senior colleagues of the chief minister reportedly advised him to reject the apex court's direction and get ready to face the 'consequences'. Any decision to stop releasing water in defiance of the Supreme Court is fraught with danger as it will lead to a constitutional deadlock and the court could ask the Centre to dismiss the state government for causing a "constitutional breakdown". The court could then seek compliance of its order by the state under President's rule. As Karnataka is the only major state currently under Congress rule and Siddaramaiah's government has another 20 months to go, whether the Congress high command will take such a huge risk, soon after losing Arunachal Pradesh, remains to be seen. The all-party meeting, which was boycotted by the BJP, told the Chief Minister unequivocally to stop further release of water to Tamil Nadu, as the state did not have sufficient water to meet its drinking water requirements. The JDS, which attended the meeting, also favoured defying the Supreme Court's order. The state Cabinet met later at night, and decided to defer any decision on water release until obtaining a consensus at the special session of the state legislature, which has been convened on Friday. The JDS, on the other hand, which has a much higher stake in the Cauvery basin, is fully backing Siddaramaiah and its state president HD Kumaraswamy has promised to participate in the meeting. In a rare show of bonhomie between two bitter rivals, Siddaramaiah called on former Prime Minister HD Deve Gowda at the latter's residence on Wednesday to seek his advice. Gowda had met Modi in New Delhi last week and apprised him of the dire water crisis in Karnataka following the failure of the monsoon. Taking a proactive role, Gowda had also heli-hopped to the four major reservoirs and shared the visuals of empty reservoirs with his comments to the media. Coming under relentless pressure since the beginning of this month from Tamil Nadu for the release of Cauvery waters for its 'samba' crops, Karnataka, the upper riparian state, has been put on the defensive in the Supreme Court. The court initially ordered Karnataka to release 15,000 cusecs of water for a week, which led to protests across the state and even a violent bandh in Bengaluru, in which over 200 Tamil Nadu registration vehicles were torched. When the issue came up again, the court berated Karnataka for 'disrespecting' its order. While reducing the water release to 12,000 cusecs per day, it extended the order by another 10 days, effectively punishing Karnataka for its alleged recalcitrance. The committee took all the relevant information on the status of reservoirs and standing crop from the concerned states and the also the data collected by the Central Water Commission, which regularly monitors 91 major dams in the country. It reduced Karnataka's burden of release to 3,000 cusecs per day till 30 September, which was welcomed by the state as a major relief. But then, Karnataka had failed to reckon with the Supreme Court bench consisting of Justices Dipak Misra and Udit Lalit's determination to 'fix' the problem. When senior counsel Fali Nariman argued that it was not possible to release any more water as the reservoirs contained barely 15 tmcft which was required for drinking purposes by people of Bengaluru and Mysuru, the court thundered, "You cannot go on like this. How long have you been fighting over it?" On previous occasions, the Supreme Court had accepted the decision taken by the monitoring committee. But Justice Misra held that, "We require the supervisory committee as an expert to see that the award is implemented and look at issues like deficit or calamity. In this case, the committee has adjudicated on a matter which is not its role," and went on to double the quantum of water to be released by Karnataka to 6,000 cusecs till 27 September. The court will hear the matter again on 28 September. Delivering another blow to Karnataka, though the matter is still under adjudication, the bench directed the Union government to set up a Cauvery Water Management Board (CWMB) within four weeks. The Cauvery tribunal in its 2007 final order had mentioned the need for the constitution of CWMB for managing the distribution of water, but all parties to the dispute including Karnataka and Tamil Nadu, had filed objections which are still being heard by the apex court separately. The CWMB will consist of a whole-time chairman and two full-time members who are experts in irrigation and agriculture, all three being appointed by the Central government. Besides two other officials of the rank of chief engineers to be nominated by the Centre, a representative of the each of the state governments of Kerala, Karnataka, Tamil Nadu and Puducherry, will be members of the committee. Karnataka has always been apprehensive about the constitution of CWMB as it fears that the board will take control of all its four reservoirs, Krishna Raja Sagar (KRS), Kabini, Harangi and Hemavathy and will regulate the release of water to the beneficiary states. Though Tamil Nadu's reservoirs, Mettur, Bhavanisagar and Amaravathy will also get monitored by the board, Tamil Nadu's burden of release is only 7 tmcft per year to Puducherry, while Karnataka is required to ensure 192 tmcft of water at Biligundlu to Tamil Nadu. Pointing out that Karnataka's special leave petition was pending before the Supreme Court, former advocate general Ashok Harnahalli said, "One cannot understand why this haste for the constitution of the board. 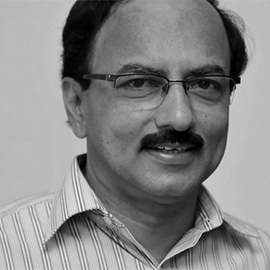 It's inevitable for the (Karnataka) government to take a tough stand now." Legislators and MPs of Mandya district have offered to resign and there is a growing demand that other MPs and Union ministers from Karnataka should also follow suit. An uneasy calm prevails in Bengaluru and other Cauvery basin regions of Karnataka. What is certain is that with frequent disruptions of normal life, 'Brand Bengaluru' has taken a heavy beating and things could never be the same again.